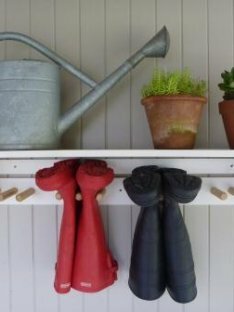 Hang up your boots after a grubby gardening session or day in the field with our wall-mounted Gumboot Shelf. It’s the perfect setup for the wet season and is guaranteed the Best on Ground award. Custom service available. Also available in recycled materials. Stay up to date - join our mailing list!